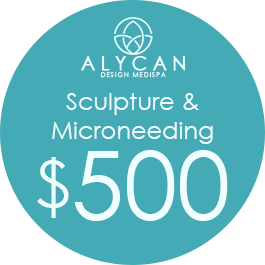 Ask About Our Sculpture Specials! The heartbreaking truth is that some people still retain skin and body fat even after working as hard as they can to achieve their goal of losing weight. The tissues simply don't have the flexibility needed to fit the smaller body size. This may cause people to look heavier than they are and make them feel that their efforts have been wasted. Our fat reduction service ensures that no one ever has to feel that way. Before every skin tightening treatment, we provide a consultation to determine which type of treatment would be best for you. Our treatments use radio frequency that allows for skin tightening and toning by using heat, the layers of skin contract to create a tighter, brighter and youthful appearance. 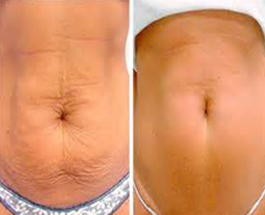 Benefits of skin tightening include improving stretch marks, improving the texture of your skin, reduction of wrinkles, shaping back and belly contour. 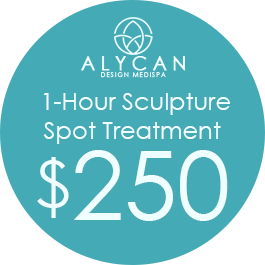 Price is determined by the area treated and number of sessions. Choosing our brand-new salon for your body contouring treatment ensures that you get the ideal service and equipment you need. We're a relaxing, judgment-free space that lets you escape the stress of daily life while taking care of yourself. Our well-trained staff works to create a soothing environment that makes clients want to come back. How Does Radio Frequency Sculpture Work? 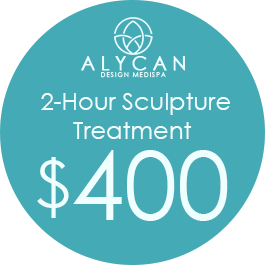 At our salon, we use Sculpture to help our clients achieve their dream bodies. This advancement is the first radio frequency treatment in the world to receive approval from the FDA. It's a non-invasive fat reduction technique that requires minimal recovery time and can be done in less than 30 minutes. There is little-to-no pain and you'll see a significant reduction after only one treatment. Treatments cause the heating of fat cells in the adipose layer of the skin. This loose connective tissue is comprised mostly of adipocytes and stores energy in the form of lipids (fats). The heat from the RF forces the adipocytes to release the fatty acids into the lymphatic system, which acts as a filter for the body. Sculpture works to target stubborn bits of fat in problem areas that don't go away through diet and exercise. 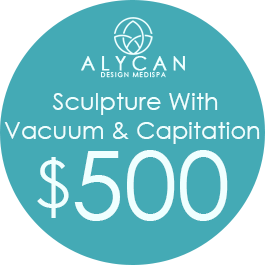 Some benefits include improving skin texture, skin tightening, stretch mark and wrinkle reduction. The fat cells become damaged, which are then absorbed and removed from the body. We can create a custom plan for your budget, body, and needs to get you the best results possible. Each patient and body type is different, so we always tailor our services accordingly. Contact us to experience our services firsthand. We treat clients from Sun City West, Peoria, Surprise, Sun City, and Glendale, Arizona, and surrounding communities.